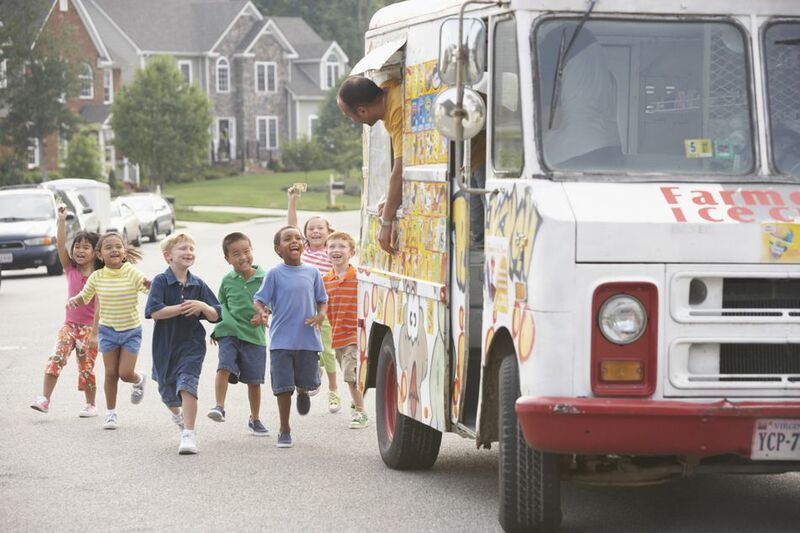 Having a seasonal business, like owning an ice cream truck, brings new challenges when hiring workers. Are you considering hiring seasonal workers this year? Maybe you want some college students to help with the extra workload this summer, or some high schoolers to work in the office or in your restaurant. If those seasonal workers are minors (under 18 in most states) there are some specific issues of pay and work hours to consider. Hiring your own children can be a benefit to both of you, but there are some pitfalls to avoid. Learn about other issues related to hiring and paying summer workers. Seasonal workers are just like other employees in regard to new hire forms and procedures. Each summer worker must complete a W-4 form designating amounts to be withheld for federal income taxes, and you must verify work eligibility using Form I-9. And don't forget state income tax withholding and other forms. Most seasonal workers don't get benefits, but you should also provide these workers with a copy of your company's employee handbook or policies and procedures manual. If you are hiring independent contractors (non-employees) for seasonal or occasional work, you'll need to have them complete a W-9 form to get their tax identification number and contact information. Seasonal hires are subject to federal and state income taxes, just like other workers. And you must withhold ​FICA taxes (Social Security and Medicare) from these workers. Briefly, you will first need to determine the worker's gross pay for the pay period. All deductions and withholdings are based on this amount. Then calculate federal income tax withholding and state income tax withholding (if applicable), then FICA taxes and other deductions. Hiring children (under age 18) in your business means adhering to different work rules than for adults. Children are restricted in types of work they can do, hours of work, and types of businesses where they can work. Read more about federal and state laws regarding child labor, to make sure you are following the law. If you hire your own children, they can get paid to work in your business, as long as their work is necessary and essential. You don't have to deduct payroll taxes or federal income taxes. The U.S. Department of Labor does not impose minimum age requirements for children employed by their parents. The exception is in "mining, manufacturing, and occupations where the minimum age requirement of 18 years old applies." State laws often follow the same pattern as the Fair Labor Standards Act with regard to minors working for their parents. Consult your state department of labor for specific guidance. Federal minimum wage rates are set by the Department of Labor. Some states have different minimum wage rates, so be sure to check these rates before you hire summer workers and start paying them. Younger workers (under age 20) may be aid a lower minimum wage of $4.25 per hour during their first 90 consecutive calendar days of work, as long as their work does not displace other workers. No federal law requires that you pay employees for time off for holidays, vacations, sick days or personal days. You may decide not to pay seasonal workers for time. That's acceptable, as long as you are consistent. In addition, you don't have to pay seasonal employees for benefits, unless they meet the minimum to be eligible for these benefits. For example, if you allow employees who work 30 hours a week to be eligible for health care benefits, you can either restrict summer employees to less than 30 hours a week or allow them to join the health care plan. If your total number of employees is over 50 full-time equivalents and some of those were seasonal workers (not seasonal employees), those seasonal workers aren't counted in your count.